Most people turn to the internet to do their online shopping, however, there is still a percentage of us that physically go into the shop, or the town center. To this end, marketers ensure that all avenues of customer interaction are covered. This means that they will go outside of the internet and their office to promote goods and raise awareness. 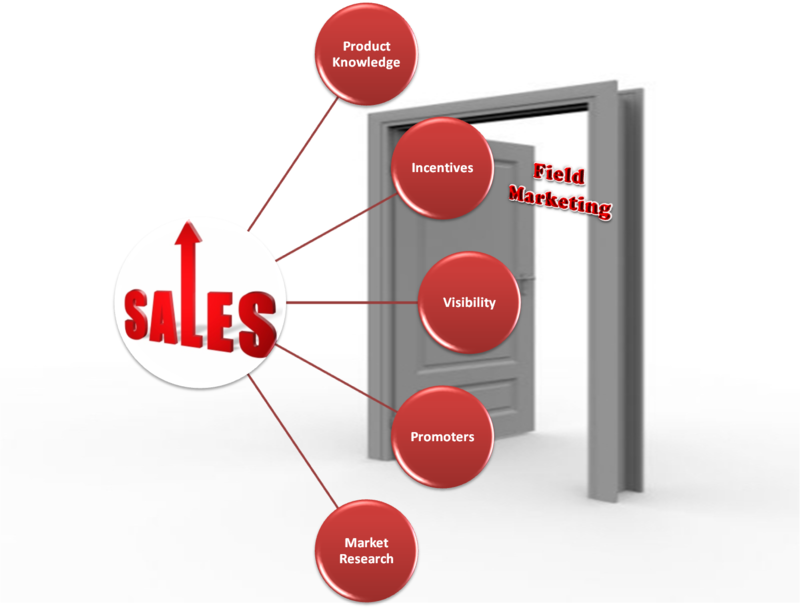 This is called Field Marketing and this article will cover the benefits and some disadvantages to field marketing with regard to how it can benefit your strategy. As discussed previously, to raise awareness of a brand, some marketers will bring the brand to the consumer. It involves working onsite to connect with the audience and this can be anything from promoting the brand in store through large sales, through to running street promotions and handing out flyers. In some cases, field marketing involves providing samples of the product for the customer to try (Mostly food and drink) to promote the product. It provides the face-to-face interaction that can really enhance awareness of your product. It can be seen as a very flexible strategy, allowing you to mold it to your needs and get the most out of your budget. Through the exposure to advertisements, messages, etc, you are increasing the awareness of your brand. The sampling aspect is always a good aspect of this strategy as it allows minimal interaction between the product and the consumer. It also gives a chance for you to receive direct feedback with regard to the product. Due to the range of activities field marketing consists of, there is no one opportune time to use it. Careful planning and thought need to be put into this strategy, such as point of placement and effective merchandising. If executed poorly, it could fall apart and you may find it was not worth the money that was invested into it. Because of its nature, field marketing needs to make sure that it does not become too in your face; with the consumer. As they say, less is more. In most cases, it may not work on its own to help raise brand awareness and may need the assistance of experiential/engagement marketing to help in boosting its effectiveness. Also, the right activity to use is vital and depends on the product. Hiring the wrong staff may also cause a field marketing strategy to fall apart, especially if they are unsure of the product. To help counter the problems raised in the disadvantages, you should hire the skills and services of a professional logistics company. They can employ a wide range of techniques to enhance a field marketing strategy as well as ensure that all staff used to promote the product know everything from its uses to its features. Your product will also be in safe hands, as most logistics companies can safeguard your product and make sure it arrives where it is needed on time. If executed properly, you can be sure that all areas of your marketing channels are covered. Harry Price is a multi talented young man who lives on the south coast. He loves marathon running and rock climbing.